What is Patient Solidarity Day? Imagine the power of an initiative when patients from across the world come together in solidarity to make their voice heard and to support each other. Imagine a day when patients, health activists and organisations unite to ensure that every single person in the world has fair and impartial access to quality healthcare. The day when we all unite for universal health coverage under the theme: “One voice, United, Universal”. Patient Solidarity Day is observed on 6 December 2014 across the world. I am glad that this year we have a few events in India as well. Back here, in India, some of us are coming together at two separate events in Delhi and Mumbai. More about it in my next post. Meanwhile, so read all about Patient Solidarity Day learn about little gestures or big splashes you can do to help stand united and amplify the patient voice! To do our bit on this day, we are asking patients and organisations worldwide to do a little Facebook Sharing activity via our #FibromyalgiaPalmChallenge to support fibromyalgia patients. Visit the #FibromyalgiaPalmChallenge official album. 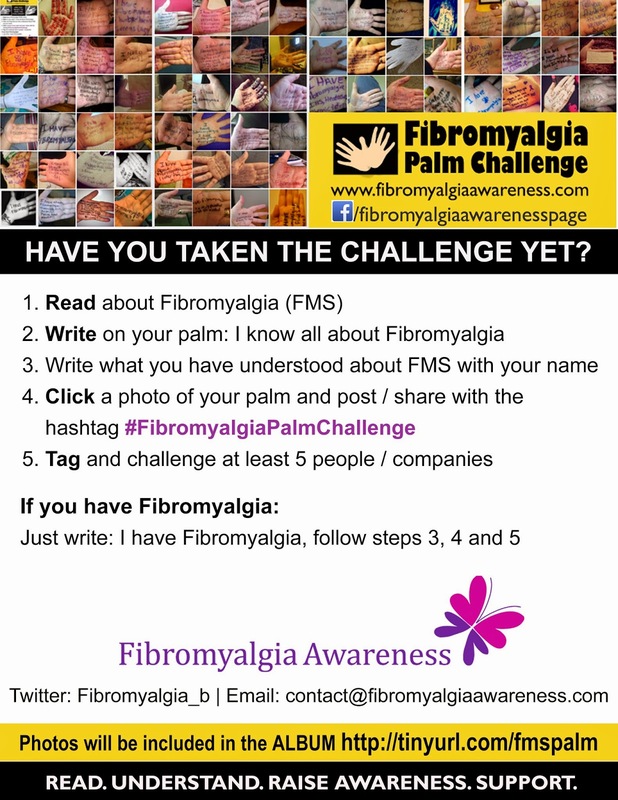 Choose any random Palm photo of a fellow fibro fighter, share it on your timeline and tag your Facebook friends to take the challenge. "(XYZ) too has taken the #FibromyalgiaPalmChallenge to raise awareness. How about you?"